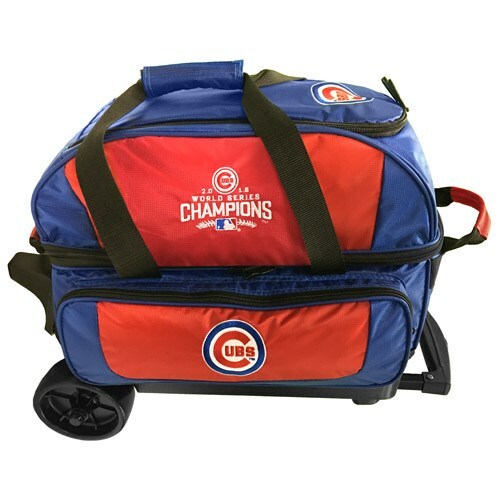 Support the Cubbies with this KR MLB 2 Ball Roller Chicago Cubs World Series Champs bag. This double roller bag offers plenty of room for two balls, shoes, and accessories. And the vibrant colors will leave no doubt as to which team you root for! Do you have San Francisco giants bowling bag with wheels ? Unfortunately we do not carry the San Francisco Giants bowling bag. Due to the time it takes to produce the KR Strikeforce MLB 2 Ball Roller Chicago Cubs World Series Champs ball it will ship in immediately. We cannot ship this ball outside the United States.